Nobody gets into online poker with the intention of spending their life grinding in $0.25/$0.50 cash games. People want to play high stakes poker one day. After all, high stakes poker games are where pots reach the 6-figure mark on a consistent basis. Some of the pots are even worth as much as $500,000. Of course, you need to play at the best high stakes poker sites if you want to compete for pots this large. By playing at the top high stakes poker sites, you will also be able to take advantage of other poker bonuses such as loyalty programs, rakeback, and freeroll tournament invitations. And when you’re playing as a high stakes player, you will get way more bonuses than other players. One of the many benefits in playing in these high stakes games. As far as which online high stakes poker sites are good to play at, many people like Full Tilt Poker because they offer the highest limits. In Texas Hold’em, the blind limits go as high as $1,500/$3,000 while Omaha Hi-Lo rooms offer even higher limits at $2,000/$4,000. Some of the world’s best high stakes poker players play at Full Tilt Poker such as Tom “durrrr” Dwan, Patrik Antonius, and Ilari “Zigmund” Sahemies. Players like these have built multi-million dollar bankrolls by playing the high stakes cash games at Full Tilt. If you’re not ready to play with the likes of Dwan and Antonius, you can still find great high stakes games at other online poker rooms. PokerStars, which is known mainly for their giant poker tournaments, has a nice selection of No-Limit Texas Hold’em high stakes ring games that offer stakes as high as $200/$400. If you are a poker tournament player, then you’ll no doubt be interested in the tourneys they offer with buy-ins ranging from $1,000-$1,500. Carbon Poker and Party Poker are also among the top high stakes poker sites since they offer stakes up to $50/$100. Those who are just starting out in the higher limits should consider these poker rooms since they feature a lot of soft competition. Plus both Carbon and Party Poker have nice rewards programs where players can cash in on frequent play. Carbon Poker also runs a bad beat jackpot promotion where the prize sometimes exceeds the $1 million mark! 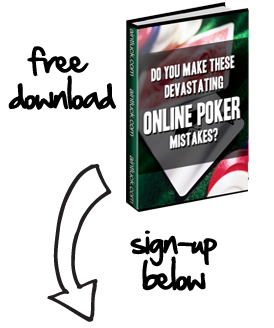 If there’s another online high stakes poker room that you’re considering, make sure that the high limits actually have a decent amount of traffic before you decide to sign up and make a deposit. Some Internet poker sites will offer high stakes play, yet rarely have anyone who wants to play at these limits. With this being the case, you’d be waiting forever to find a high stakes opponent. That’s why most people just prefer to stick with the best high stakes poker sites such as the ones mentioned above, so they don’t have to worry about the player traffic aspect. Assuming you choose, Full Tilt Poker, PokerStars, Party Poker, or Carbon Poker, you should have no problem finding a game. - The High Stakes Poker Database - HighstakesDB is the world’s largest high stakes online poker database.